Hello! My name is Harley! I am 2 to 3 years old and 19 pounds of LOVE! I am a smaller beagle that loves hanging out. I have learned so much since coming to my Foster Family. I have mastered lots of things since I have been here. I am potty trained, kennel trained, and what stairs are. I am learning new things every day. I live with two other dogs and like to follow them around the house and yard. They have taught me so much since I have been here. We play ball, tug of war and nap together. So other dogs would be just fine by me. We are currently working on leash training and how to sit. I love to run outside with my foster dogs as fast as we can until we run out of steam. So a fence is a must. I survey the yard thoroughly and bark at any birds, squirrels or people walking by. I haven’t been around any kids or furry cats. My foster Mom tucks me in bed at night, but I like sleeping under the bed. Also, I warn you if I see my reflection in the mirror I will protect you from that dog. Harley is current on vaccinations, HW negative, neutered and microchipped. 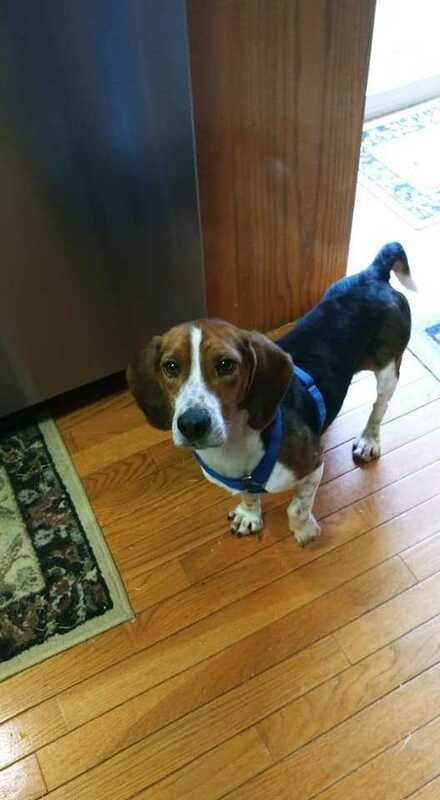 He is foster in Omaha, NE. Harley’s adoption fee is $225.00.